SRXP is a mobile app and web application for medium to large businesses that helps simplify the expense management process by allowing employees to snap and manage expenses anywhere in real time. Using the expense report app, users can capture receipts immediately as they are received, and use Google Maps to report mileages expenses, adding several destinations on one route. Users can stay on top of captured expenses via the inbox, and revisions are automatically updated in the portal. Email notifications are sent when an employee has submitted an expense report waiting for review. Users can scroll through the online expense reports to make sure every expense is justified, and revise information that the employee has not provided correctly, or send the report back with feedback. If all expenses are approved, the report will be pushed to the finance department for the second review. Expenses paid for with a credit card are automatically uploaded to the online portal, enabling users to simply match receipts to expenses. SRXP provides a clear status of every expense report, and allows reports in over 165+ currencies. Organizations can master multiple entities and company accounts from the admin account. SRXP offers integration with other ERP systems such as Visma, SAP, Oracle, Microsoft Dynamics, Netsuite, Xero, Quickbooks, Sage. Makes my life easier as a controller.Before using SRXP doing expenses was a pain. However, with this new system we are able to streamline all our expenses and get all the reports done in a matter of our. Also our employees are very satisfied and are using it to a much better extend than before. Before using SRXP doing expenses was a pain. However, with this new system we are able to streamline all our expenses and get all the reports done in a matter of our. Also our employees are very satisfied and are using it to a much better extend than before. There hasn't been many problems with this App yet. there was a small learning curve in the beginning but now it has been improved and there are no problems with its use. By setting up automated workflows and defining business rules, SRXP helps make sure that online expense reporting fits in seamlessly into current processes and approval guidelines. Expenses are automatically uploaded to the online portal of the right employee, making sure every expense paid with corporate credit cards is justified with a receipt. Real-time insight into the company’s cash flow allows users to see expenses from the moment they are captured for up-to-date information about employee spending. By managing expenses with SRXP, users can file even the smallest amounts for VAT refund. 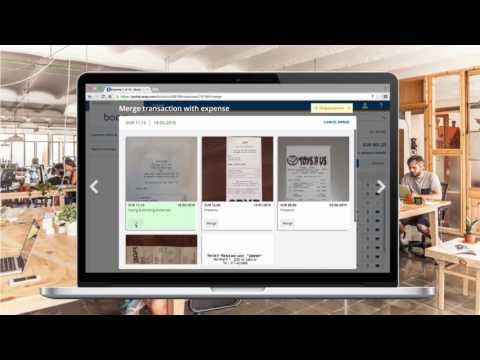 Simplify expenses through integration with VISA, MasterCard, and AmericanExpress. Below are some frequently asked questions for SRXP. Q. What type of pricing plans does SRXP offer? Q. Who are the typical users of SRXP? Q. What languages does SRXP support? Q. Does SRXP support mobile devices? Q. Does SRXP offer an API? No, SRXP does not have an API available. Q. What other apps does SRXP integrate with? Q. What level of support does SRXP offer?